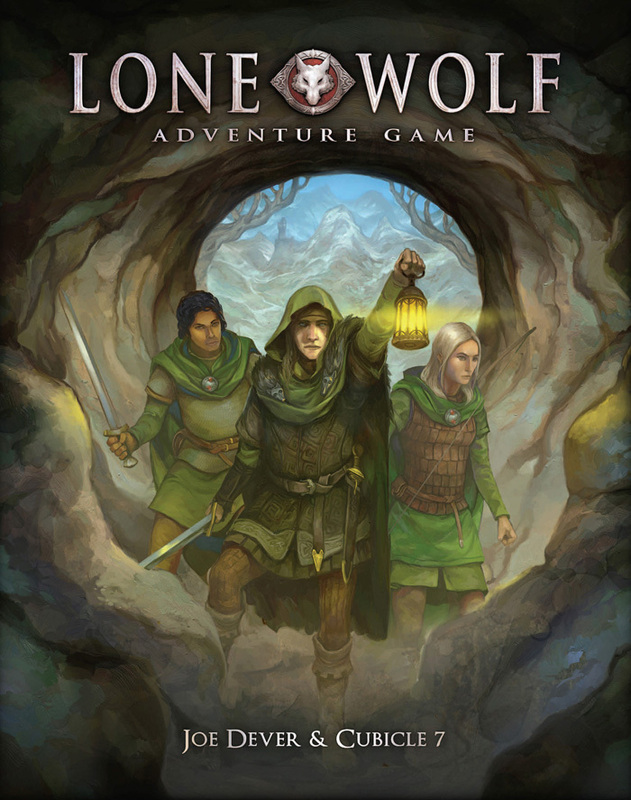 Joe Dever’s Lone Wolf gamebooks introduced a whole generation to fantasy gaming – now the legend continues with The Lone Wolf Adventure Game. 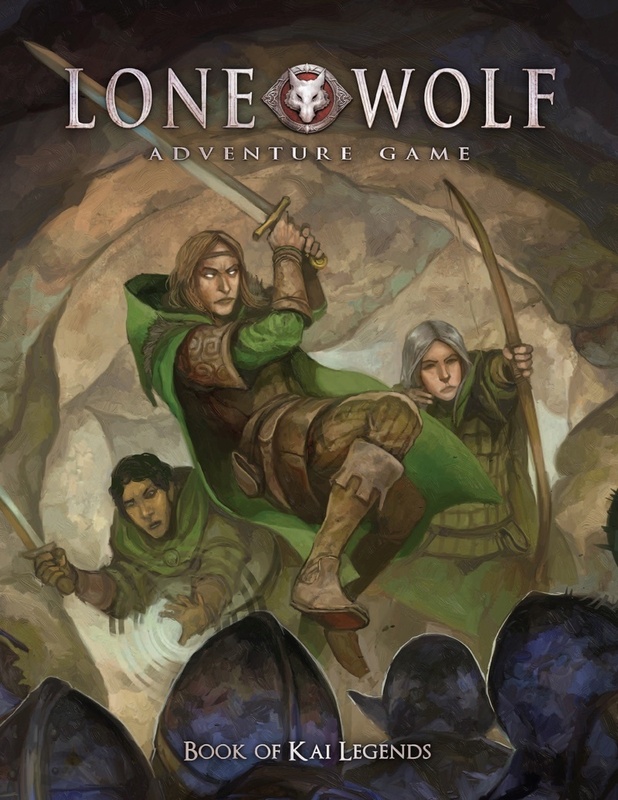 Epic quests, thrilling combat, and a world of dangerous adventure lie ahead! You can grab the Read This First guide as a free PDF here. The Book of Kai Legends is where your adventure begins. Once you’re done reading the Read this First sheet, round up a group of friends and start reading through the book. It explains, step by step, what you need to do and how to play your first adventure in Magnamund. If you’re planning on being a Player, you should leave this book alone lest you spoil your enjoyment of the adventures! The Book of Kai Training details everything you could possibly want to know about your Kai Lord, from what your Kai disciplines do to how to resolve a simple test. It describes Joe Dever’s wonderful world of Magnamund, as well as providing many more details about the Kai Order and their duties. It is the ideal starting point for any Player as it also contains loads of practical advice. The Book of Kai Wisdom contains all the rules in one place as well as loads more information about Magnamund. You’ll probably want to have at least one game under your belt before you read it though. It’s a good book for Narrators to read after they’ve played through The Lost Caravan, but it’s a good idea for Players to read it too. 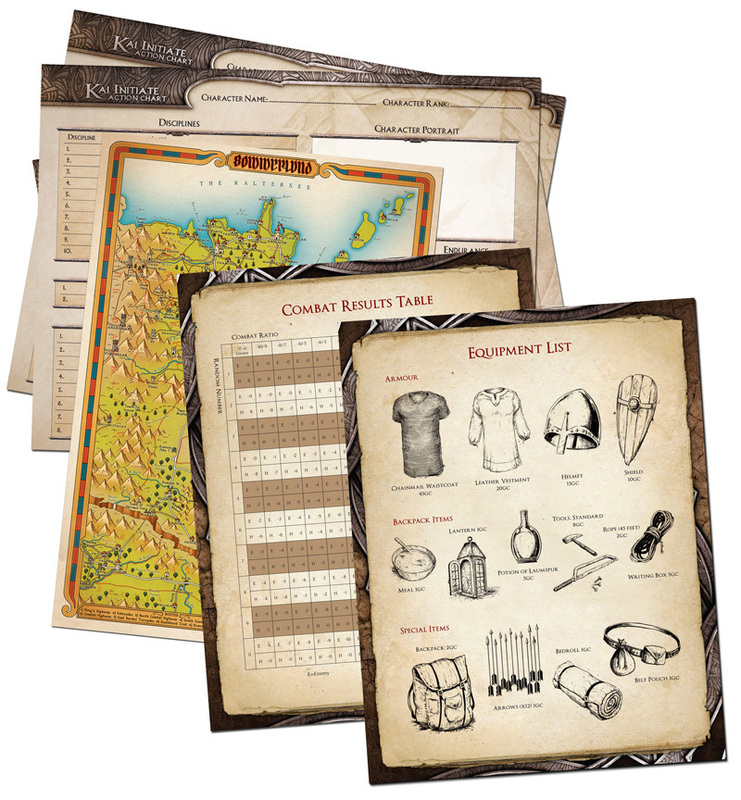 The Ready-Made Action Charts contain ready-made Kai Lords so you can start playing right away! Each Action Chart depicts a Kai Lord. 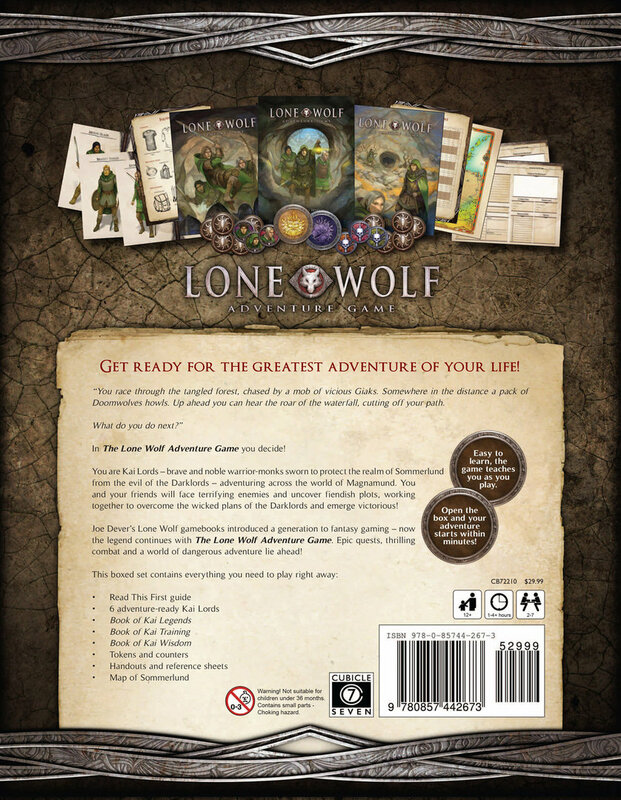 It also contains some of the numbers and rules you’ll need to know to play them. On the opposite side you’ll find a slightly more complicated version of the Kai Lord, to use once you’ve got used to the rules. 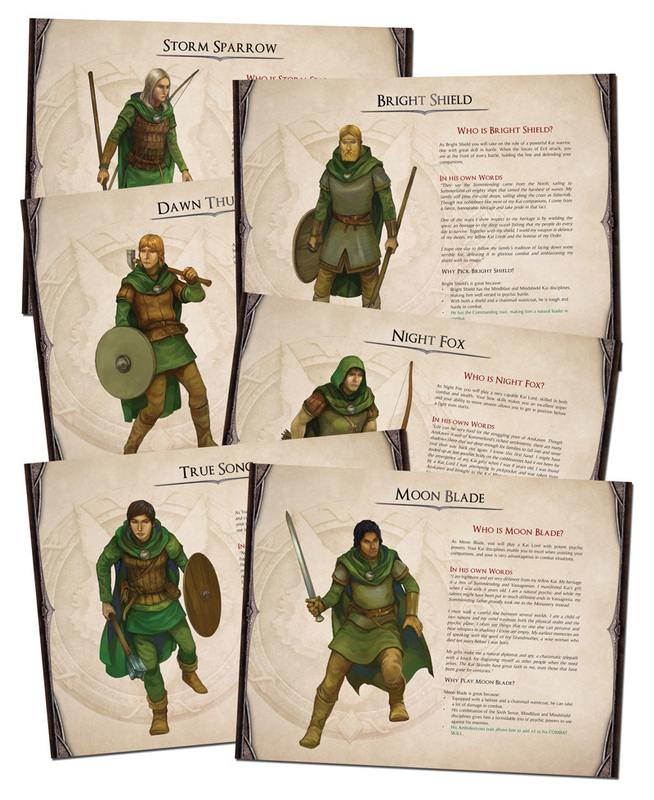 The Blank Action Charts are used to write your own Kai Lords on – great for when you’ve played a few adventures and want to create your own Kai Lord. Box Lid – You’ll find a table of random numbers (from 0 to 9) printed inside both halves of the box. These are used to pick random numbers during the game. Player Tokens – There are six of these tokens, each printed with a different icon on one side and a different portrait on the other. Each Player has their own one of these, and when they need to pick a random number they flip or drop it into the box lid. Whichever number it lands on is the number they’ve picked. Narrator Tokens – There are six of these tokens, each printed with a different icon. These are used exactly as above, but they are used by the Narrator instead! Luck Token – These double-sided tokens have the face of the noble god Kai on one side, and the face of the evil god Naar on the other. When you need to make a Luck test, you just flip one of the tokens up into the air. If Kai’s face is showing, luck is on your side! If Naar’s face is showing, misfortune has struck! 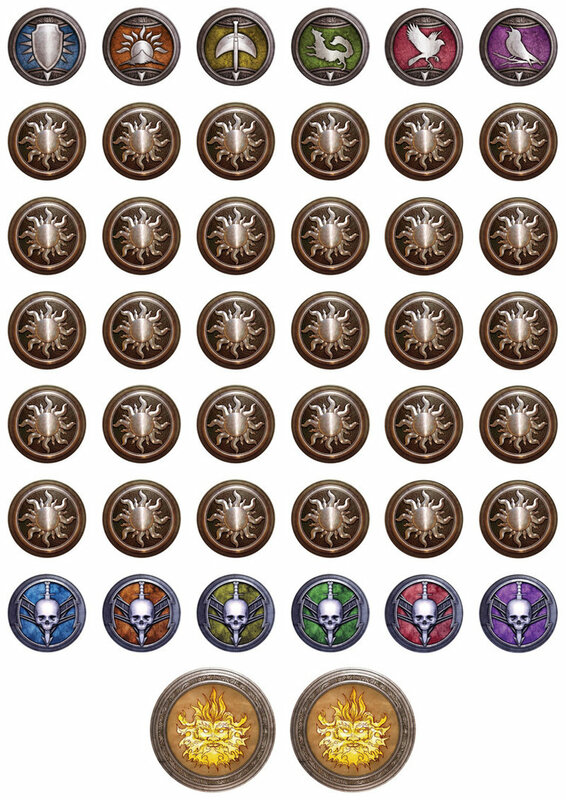 Kai’s Favour Tokens are used by Players to keep track of their Kai’s Favour. The Combat Results Chart is a handy reference for when you get stuck into combat. To use it, you subtract your foe’s Combat Skill from your Kai Lord’s Combat Skill and make a note of the result. You then pick a random number and cross-reference both numbers on the chart. The result is how much Endurance both combatants lose. The Equipment List lists the prices of pretty much everything your Kai Lord will want to buy in the game , as well as depicting it so that everybody has a good idea of what it all looks like. Map of Sommerlund – Every Kai Lord has a map of their home nation of Sommerlund with them, and this allows you to see where your adventure is taking place. 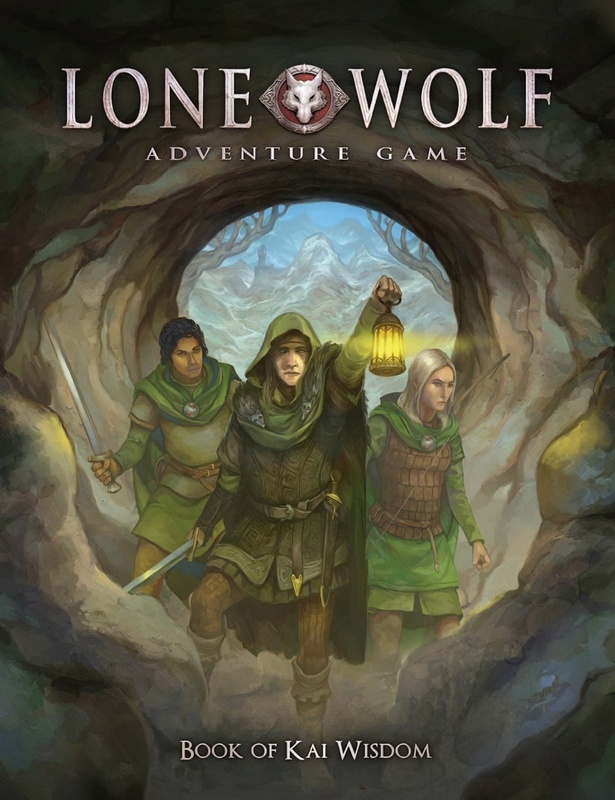 The Lone Wolf Adventure Game is written by Joe Dever, August Hahn, Vincent Lazzari, Richard Harrison, Gary Astleford and Andrew Kenrick, with illustrations by Jon Hodgson and Scott Purdy, maps by Francesco Mattioli and layout and design by Paul Bourne. 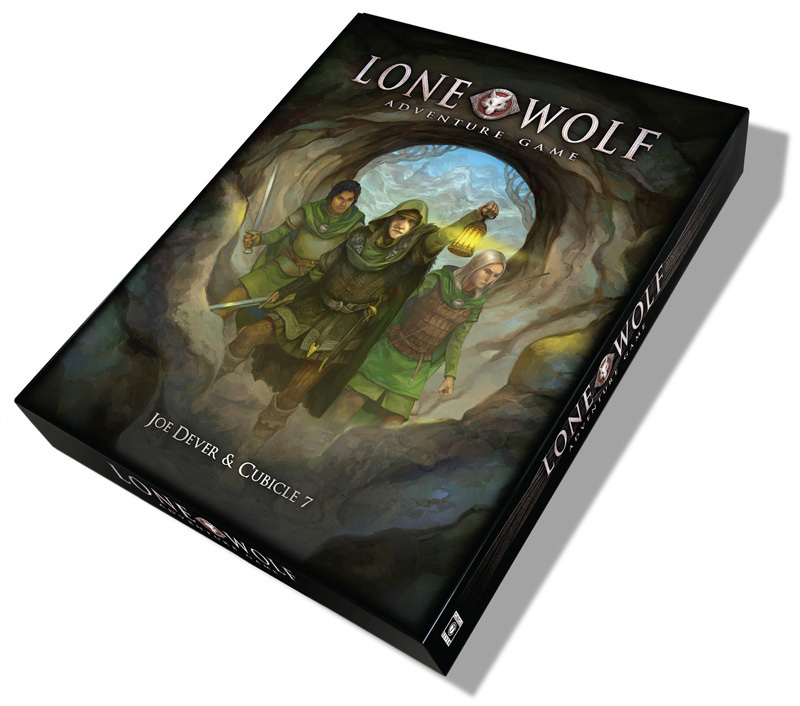 The Lone Wolf Adventure Game Boxed Set has a deliberately low price to be attractive and affordable to new gamers. Get ready for the greatest adventure of your life! 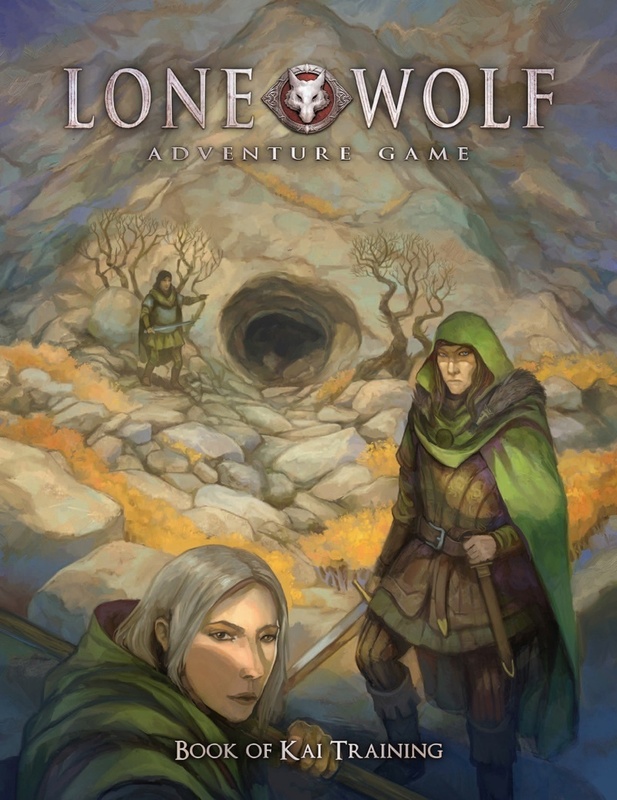 All orders for The Lone Wolf Adventure Game come with a complementary PDF of the game.